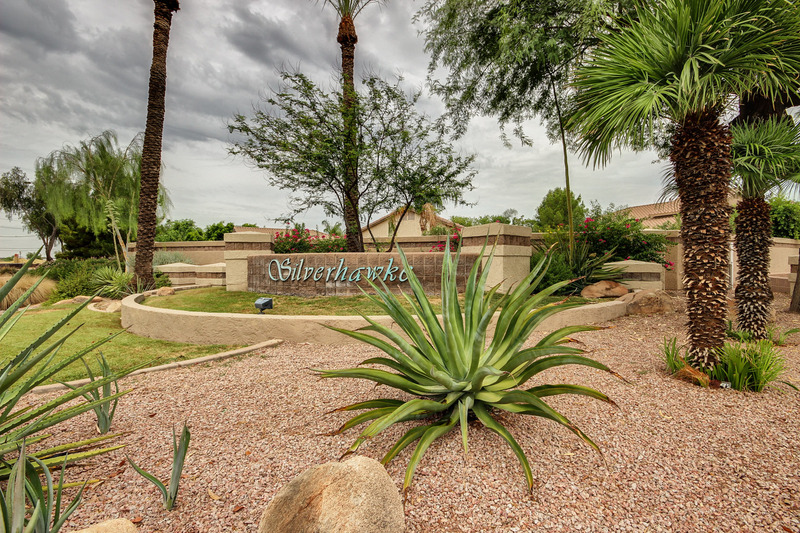 Welcome to the neighborhoods of Silverhawke in Gilbert, AZ. Here, you’ll find beautiful homes and a well planned community in a VERY convenient location. Community parks with playgrounds, volleyball, open spaces and more are located just minutes from great freeway access, schools, restaurants, shopping and more. If you are looking for a convenient location, a nice home and a community where you’ll feel right at home, you might want to take a look at Silverhawke. Below, you will see a current list of homes for sale in Silverhawke. This list of homes is automatically updated as new properties become available. Feel free to bookmark the page and return often to check on the most current market conditions. If you have any questions or would like to see any of the homes for sale in Silverhawke, please contact the Nick Bastian Team at Realty Executives by dialing 602-803-6425. Of course, if you are thinking of selling a home in the area, we’d love to talk to you about that, too! We’re always willing to help with any of your real estate needs.